Modern energy automation software systems support the users in their attempt to optimise engineering and production processes, to cut down energy consumption and wastage and, thus, to reduce costs. Jürgen Resch reports. Recent political decisions influencing the energy market on a global scale underline an increased awareness of the need for major changes in energy generation and distribution in order to meet future supply demands. With more investment in automated control, smart grid, renewable energy and energy management systems, governments, utility suppliers and industrial companies can now take action. - A core system for IED (Intelligent Electronic Devices) offering IEC 61131-3 compliant PLC capability, DNP3, IEC 60870 and IEC 61850 including GOOSE. Using both technologies provides the operator with real measurable benefits. By using GOOSE, copper wiring between the IEDs can be reduced to a minimum. In the past, all data exchange was realised via cables - a time-consuming method that was linked to high costs and much effort. Using GOOSE, the only requirement is a network structure. Usually, the network is fibre optic and thus, it can carry a lot of data between the IEDs. The IED itself can be equipped with the IEC 61131-3 compliant PLC in order to calculate interlocking and other parameterisation. Programming with an IEC 61131-3 compliant tool is much easier and cost-effective than doing the same with relays. Even debugging and commissioning is faster and more intuitive. The IEDs work automatically and communicate via GOOSE with each other. In the context of an energy automation system, the data from the field (from the IEDs) is sent back to a data concentrator or a SCADA system. 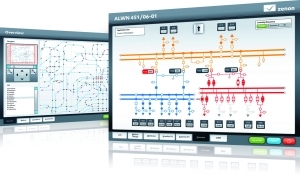 The collected data supports the operator in his decision-making: He will automatically be informed about alarms and, in trend screens, he can monitor how the plant works and the numbers develop. The data is provided by international communication protocols such as DNP3, IEC 60870 or IEC 61850. These protocols offer a time stamp on each data point value. With this time stamp it is possible to follow all actions chronologically in order to analyse what happened and in what sequence. In order to keep track of all unusual or critical processes and data flows in unmanned stations, some energy automation systems also offer automated notification systems. This means that, in case of an alarm or critical condition, a message (eg, SMS, e-mail or voice mail) is automatically sent from the SCADA system to the operator. The feature guarantees that the right people are informed about anomalies in the plant immediately and, thus, a quick reaction is possible. As a rule, supply contracts work on the basis of predetermined energy consumption levels. If the agreed levels are exceeded, the charge for additional consumption is significantly greater. In order to optimise the economic management of power supply for businesses, especially industrial firms, the implementation of an energy management system is highly recommended. The most important function delivered by such a system is an energy trend calculation which serves as the basis for an automated energy supply optimisation. An effective energy management system enables the largest possible amount of energy to be procured from the supplier at the lowest possible prize. Most significantly, it is the avoidance of costly power peaks that is the key to these savings. There are a number of targeted control actions to avoid such peaks: the loading can be reduced by switching off loads; on-site energy generation can be introduced or increased; or energy can be brought in from other sources. To this end, the average power used within a measuring period must be predicted using the most accurate forecasting tool available. 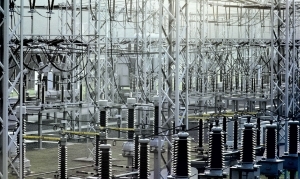 In this way, if the defined limit for imported power is at risk of being exceeded, the problem can be recognised in minimal time and the appropriate action can be taken. The European automation expert COPA-DATA offers premium technological solutions for meeting the increasing demands of innovation and functionality in the energy industry. 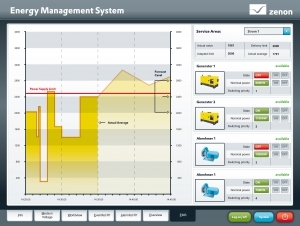 The SCADA system zenon, available as zenon Energy Edition with customised Energy features the core system for IEDs, straton, as soft PLC, and the zenon module Energy Management System (EMS). The environment — the ultimate fashion victim?